It's the most wonderful time of the year, everybody -- the Nobel Prizes have arrived! 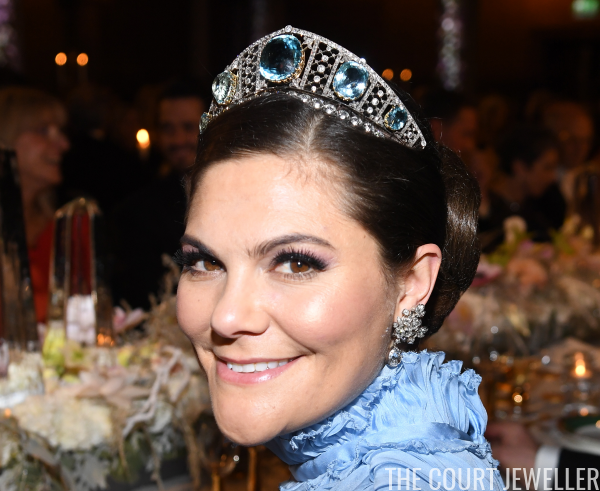 Our jewelry coverage of the festivities in Sweden starts tonight with Crown Princess Victoria, who fulfilled one of my great jewelry dreams with her tiara choice. Victoria wore the gorgeous diamond and aquamarine kokoshnik that has belonged to generations of Swedish royal women, including Crown Princess Margareta, Princess Sibylla, and Princess Margaretha. 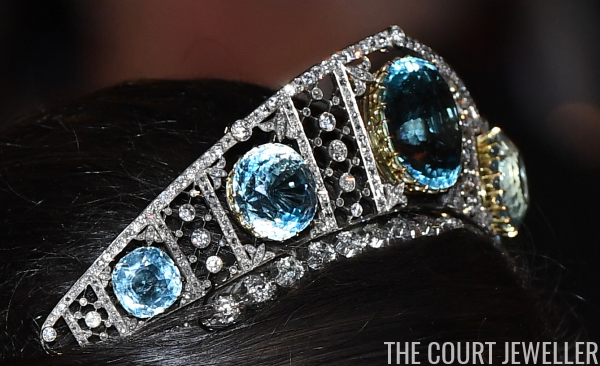 You can read more about the tiara's impressive history over here. Victoria supplemented the base of the kokoshnik on this occasion with a diamond riviere. 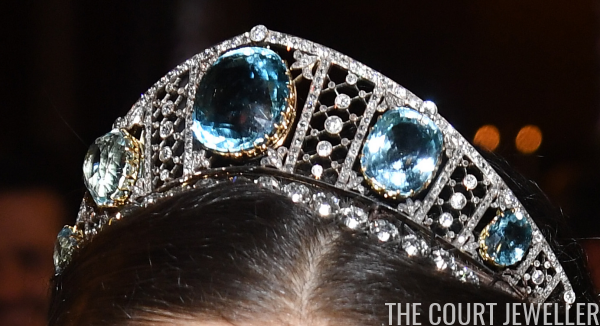 This isn't my favorite look for the tiara -- I think it disrupts the overall design a bit -- but Victoria often uses the riviere trick when wearing tiaras, including the Diamond Four Button. 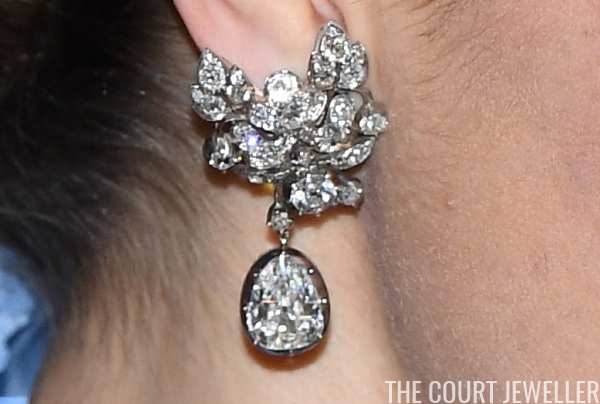 Victoria chose the same diamond floral earrings from the family vaults that Princess Madeleine paired with the tiara at the 2015 Nobels. 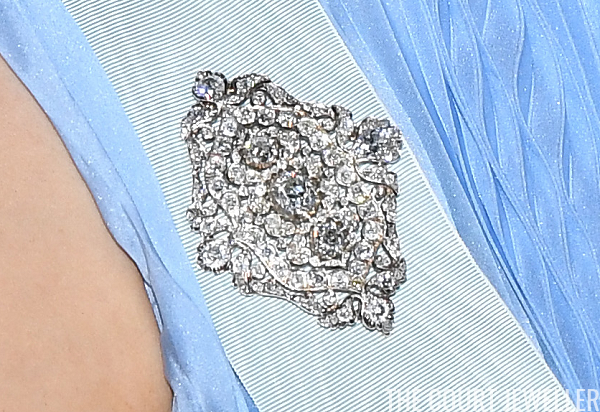 She secured the sash of the Order of the Seraphim with an incredible diamond brooch from the family collection. And here's a close-up view of her father's family order. 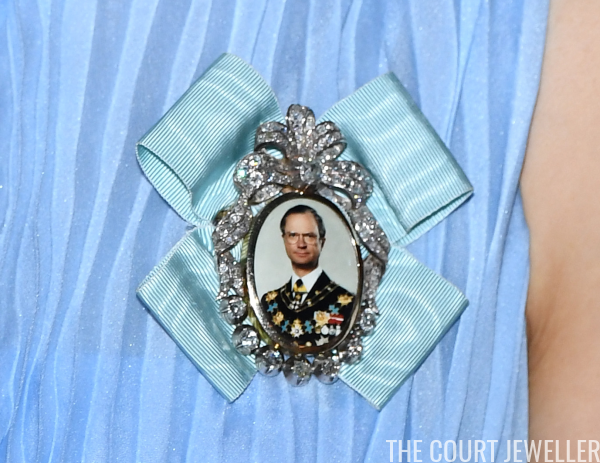 Unlike Britain, where the monarch's family order is uniform, each family order worn by the Swedish royal ladies features a different diamond frame design and sometimes a different portrait. Here's a view of Victoria's entire ensemble for the prize ceremony and banquet.